On 22 July, Conservancy Safaris CEO, Russell Vinjevold, loaded up a dumpy level and a team of volunteers and headed off to Onjuva. Namibia’s Himba take tourists beyond the usual safari circuit. Desert Dust Devil safari report, 17 to 20th of April. 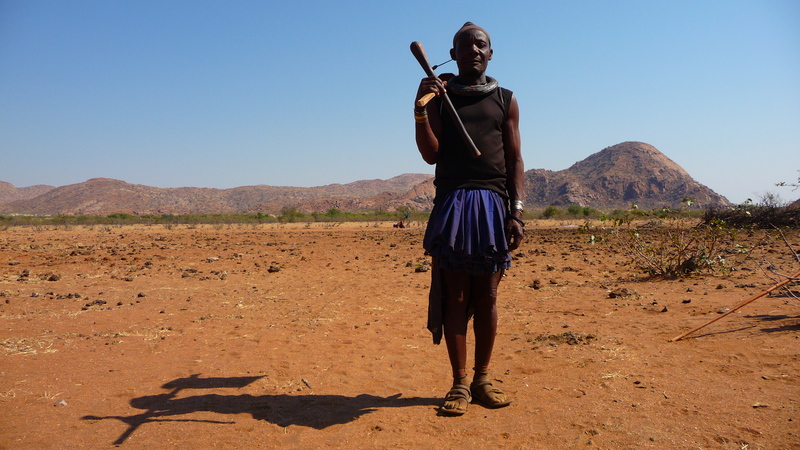 We, the Himba and Herero people of the far north-west of Namibia, invite you to visit us. Our land is bigger and more beautiful than you can imagine and our wildlife is once again becoming plentiful – like it was in the days of our grandfathers. Conservancy Safaris attended the book launch of renowned conservationist, Garth Owen-Smith, in Windhoek on 23 March 2011.